The Ikara-Flinders Ranges are waiting for you in 2019! Sir Hubert Wilkins' adventurous spirit lives on through the participants of this iconic event. Rarely a step can be taken without being taken aback by the beauty and history of the area. There is simply no other place like it in our great country, and you will come away with memories for a lifetime. Based out of Wilpena Pound, there is choice of cabins or camping, and lots of opportunities to explore the immediate area before or after the event. All distances cover some amazing parts of the Park, including traversing the arduous and iconic Tanderra Saddle, which sits just below St Mary Peak, the highest point in the Southern Flinders Ranges, and eighth highest in South Australia at 1189m. All finishers also receive a medallion handcrafted from local wood by indigenous artist Kristian Coulthard. The weekend also includes a Welcome to Country ceremony by local identities, a buffet dinner on the Saturday night, and the opportunity to take in some of the other sights that Wilpena Pound has to offer. The event itself is named after 20th century South Australian explorer Sir Hubert Wilkins. Sir Hubert was born in the State's mid-north not far from the Pound. His list of achievements are too long to list here, but his adventurous spirit is captured in the Hubert 100 as runners take in sights that Wilkins no doubt looked upon himself nearly 100 years ago. To get an idea of what Sir Hubert achieved across the world, we highly recommend you read "The Last Explorer" by Simon Nasht. 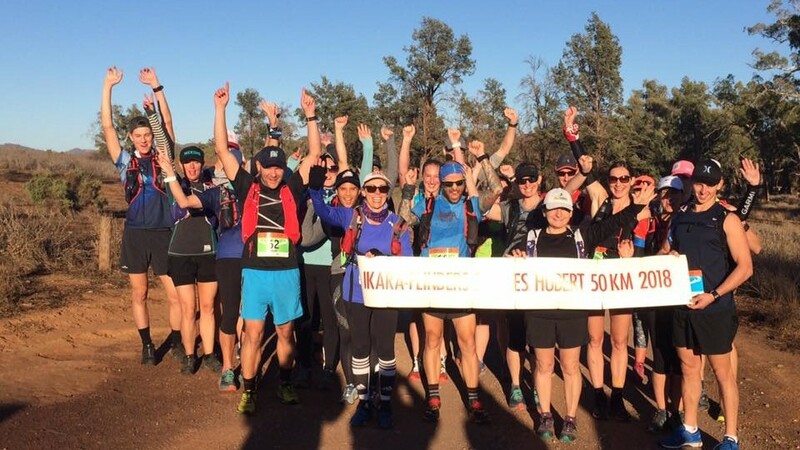 We hope to see you in the beautiful Ikara-Flinders Ranges! The cutoff for the 100km event is 8.00am Sunday May 5. The cutoff for all other events is 9.00pm Sunday May 5.